The inconsistency of this England team continued with defeat to West Indies in the Second Test at Headingley. Many would have expected England to cruise to victory after such a lacklustre performance by West Indies in the first test. To everyone’s surprise though, West Indies showed up and won an enthralling test match by 5 wickets after batting brilliantly on Day Five. Shai Hope showed batting class by scoring his second century of the match, along with the dependable Kraigg Braithwaite who scored 95, five runs short of his second century of the match too. While England’s bowlers, particularly Moeen Ali, were disappointing on the final day, the West Indies batsmen were outstanding, securing their first win over England in England since 2000. Defeat means England now come under scrutiny again in the build up to the Ashes series, with consistency being the main issue that new England captain Joe Root needs to solve. There is no doubt a lot of talent in this England side. They don’t have any major reasons to panic following on from this defeat. We shouldn’t forget that England did earlier in the summer record an impressive 3-1 series win over South Africa, and recorded a huge win over the West Indies in the First test. There is further reason to be confident given that England’s Ashes opponents Australia have just lost to Bangladesh for the first time ever in a Test match. Even though England will have a strong chance to win the Ashes, the fact that it is in Australia on dry pitches, where England were whitewashed 5-0 back in 2013-14, means England are still underdogs to go out there and keep hold of the Ashes. If England want to be favour ties though they need to address some areas in their side that massively needs resolving. The main area being at number 3, where Tom Westley looks to be seriously out of place. Westley has hugely struggled at number 3 so far in his short England career. Having failed in all of his innings except one half century. Westley will no doubt get one more chance to prove he deserves his place in the side, but you sense anything but a century and Westley will be dropped from this side. The only issue England face is who to replace him, should he be dropped. There are no genuine contenders, with Gary Ballance the option before Westley being hugely inconsistent in an England shirt. If England want to win in Australia, they need to find a confident, genuine run scorer who can take the pressure off Alistair Cook and Joe Root, who seem to England’s only source of runs in the top order at the moment. Perhaps the most frustrating area of this England team is at opener with Alistair Cook. It seems an eternity ago England had a dependable opener like Andrew Strauss to partner Alistair Cook. Promising openers that started well but eventually failed have included Alex Hales, Adam Lyth and more recently Keaton Jennings have highlighted how England are lacking a reliable opener. Surrey’s Mark Stoneman has only had three innings so far, and did record 52 in his last innings before getting out to a very questionable umpiring decision, even after a nasty injury to his finger. Stoneman has got time to prove he should start for England down under, and England fans will be hoping that he does show promise in the final test, if not there wont be many openers left for England to experiment with. If England’s top order is looking uncertain, the middle order is looking pretty reliable. Ben stokes has been very impressive with both his batting and bowling so far, while Johnny Bairstow will surely be England’s wicket keeper come the first Ashes test. The only place up for discussion here is Dawid Malan’s place, which is not quite secure yet, despite scoring two half centuries in his last two tests. Malan struggled against South Africa, but has improved against the Windies, scoring a slow paced 65 and 61. Malan has looked much more confortable recently and looks to be adapting well to international cricket, the only thing lacking is a century to go with it. IT would be likely that Malan starts against Australia, if he carries on the way he is, he will start, but any low scores, and his place will come under threat too, with both Alex Hales and Jason Roy impressing for their counties at number 5. 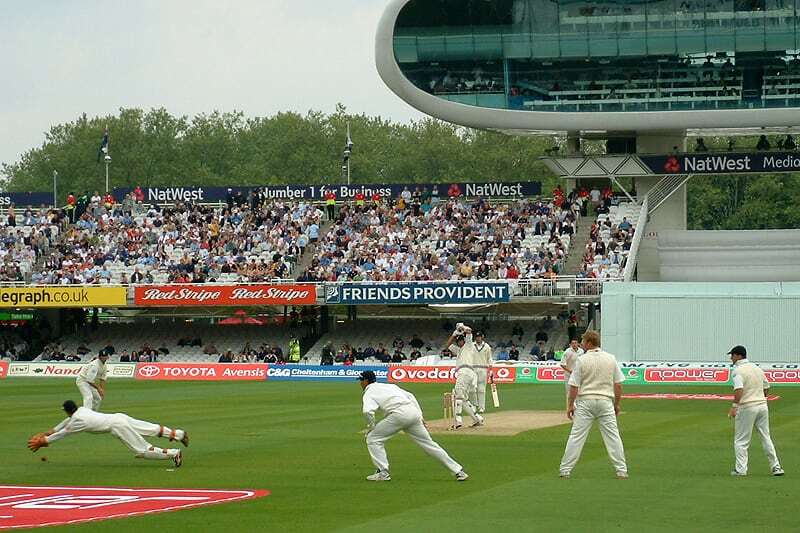 England’s bowling department has mainly been their strength over the years, with Stuart Broad and James Anderson becoming England’s two leading wicket takers. Moeen Ali has not only hugely improved his spin bowling, but his batting has been crucial to a number of England wins, providing plenty of quick runs at the bottom of the order. There is no doubt then that Moeen will stay put in this side, but on Australian pitches, England may strongly consider playing a second spinner. The most likely option would be Abdil Rashid, although he has proven at ODI level, at Test level, Rashid has failed to take his chances though. If the selectors choose to not play another spinner, and with Broad and Anderson surely taking up two of the other three bowling places, the competition is very competitive for the final spot. Chris Woakes has been very impressive for England in the past year, taking a number of wickets, while being very useful with the bat as well, as shown by his 61* in England’s second innings against the Windies. Toby Roland-Jones has been magnificent in his short England career taking plenty of wickets, especially his 5-57 in his first innings. It seemed very harsh to drop Roland-Jones for Woakes, given Woakes lack of playing time. This shows though that Woakes is ranked higher, meaning barring any injuries, Woakes is likely to start ahead of the Middlesex bowler, who will no doubt be a more than capable back up for England. All in all, there are a few areas England can improve, they need to firstly sort out some positions in the side if they want to beat the Aussies. However, most importantly, they need to become much more composed and consistent. They can’t concede victory in situations like the one they faced against the Windies on day 5, they have to win those sort of days of they want to beat Australia. Next PostCan Chelsea win back-to-back titles?